Hurricane Joaquin is churning in the Atlantic and threatening the East Coast, potentially putting thousands of boats at risk. The warm and dry summer that much of the country enjoyed lured many boaters — novices and the experienced alike — to the water and encouraged them to extend the season. 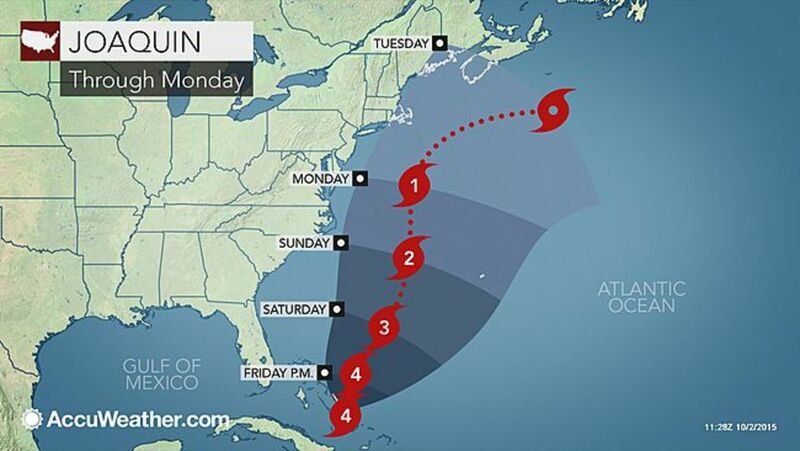 Now Hurricane Joaquin is churning in the Atlantic and threatening the East Coast, potentially putting thousands of boats at risk. “Weatherwise, the month of September was spectacular in the Northeast — and that means many boats are still in the water,” Todd Shasha, managing director of personal insurance at Travelers, said in a statement. BoatUS says an MIT study that followed 1985’s Hurricane Gloria found that boats stored ashore were much more likely to be saved than those in the water. BoatUS also said vessels left in the water should be secured in a snug harbor. Like Travelers, BoatUS strongly advises never remaining aboard during a hurricane. “Several accounts given in claim files indicate that there is little, if anything, a skipper can do to save a boat when winds are blowing 100 mph, tides are surging and visibility is only a few feet,” BoatUS said.